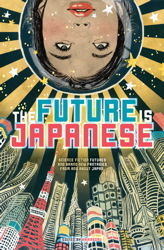 And now, the table of contents for THE FUTURE IS JAPANESE! It’s been a long while, but we’ve finally settled on a table of contents for our forthcoming anthology The Future is Japanese. Check back here next week for a full book page and more fun news!